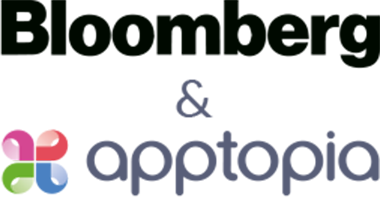 Track mobile usage for thousands of publicly traded companies. Discover who is spending money on advertising, where they’re spending, and how much. 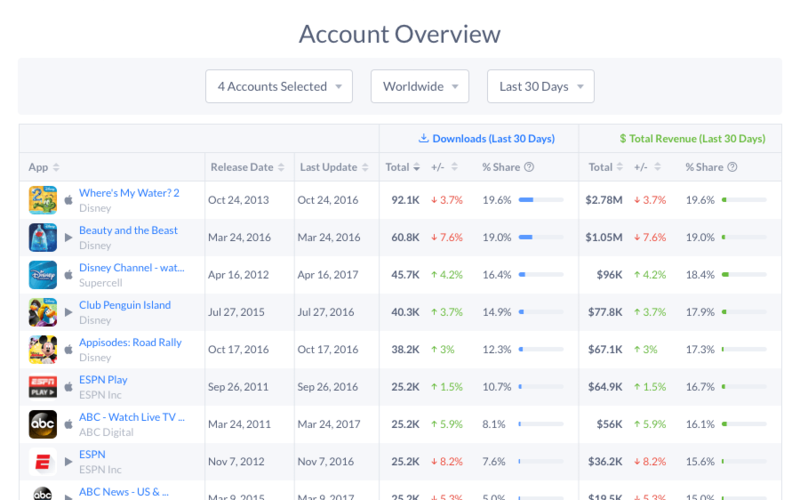 Analyze market and competitive data to learn where your users spend their time and money. 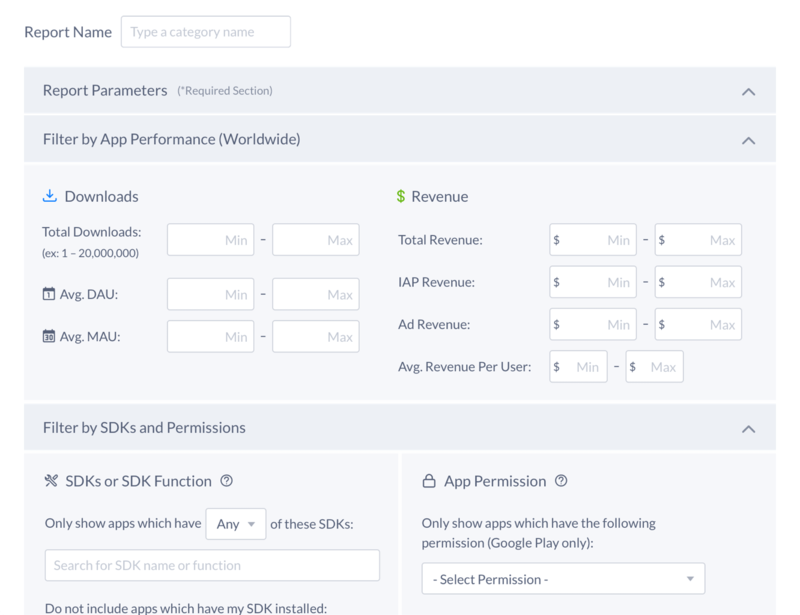 Query the entire app store by SDKs, performance data, company information, and market movement. Discovery leading indicators in public company reported revenue and key company metrics through mobile performance data. 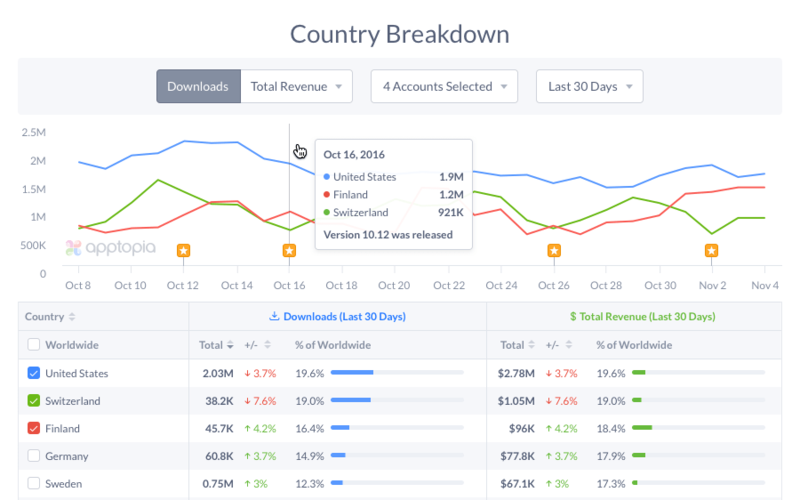 Free analytics for your app. 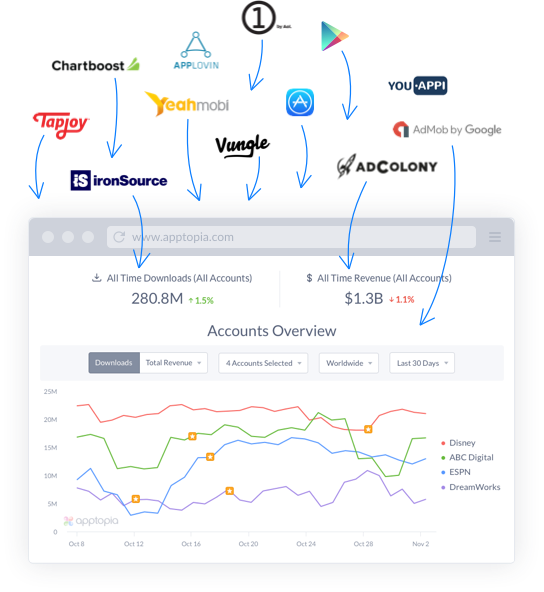 Apptopia unifies all of your download, revenue, usage, and advertising data into one clean dashboard. Get accurate performance estimates for 3+ millions apps in 150+ countries. 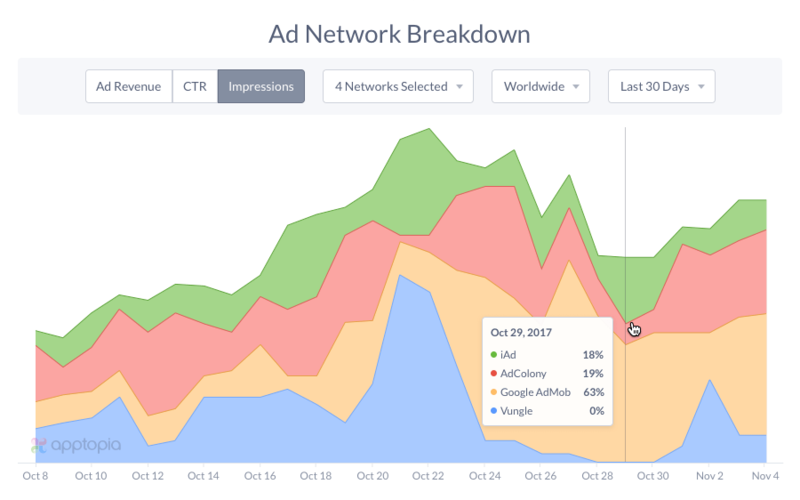 See which publishers are advertising with which ad network and their spend volume. 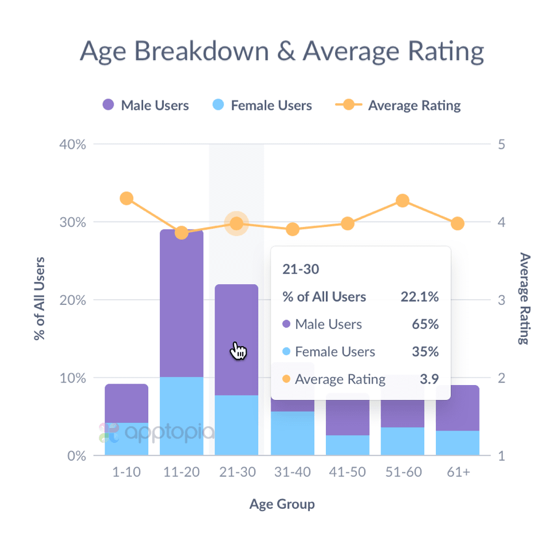 Retention and user graph help you understand where users spend their time and money. Query the entire app store in seconds based on any and all data we offer. 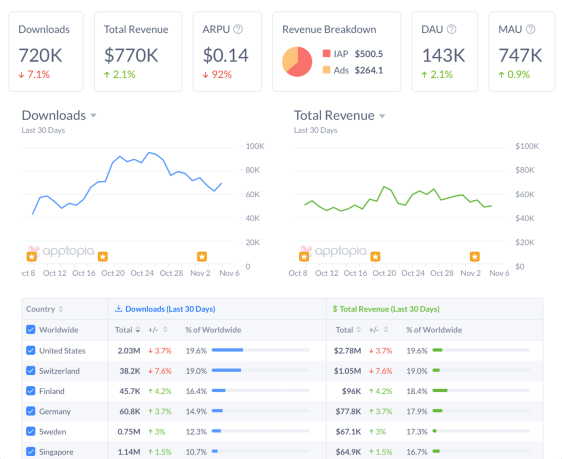 Analyze and graph all of your iOS & Google Play apps in one dashboard. 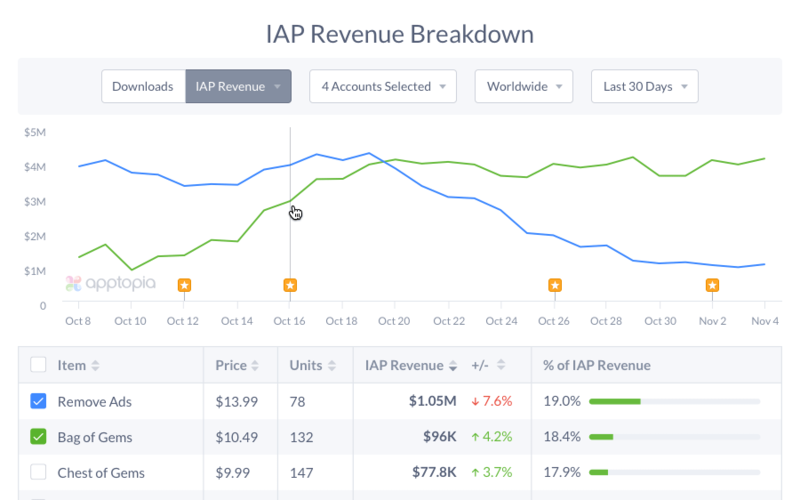 Deep dive into in-app purchases to learn which are working and why. Understand how different networks contribute to your advertising bottom line.